Nearly a third of the United States suffers from nearsightedness. This makes it the most common refractive condition of the eye, and it has risen in prevalence by an alarming percentage over the last few decades. The official cause for this increase is largely unknown, though the medical field is grappling with theories on a daily basis. There is the notion that an exponential increase in computer usage is to blame, while there is also the idea that the condition is hereditary. 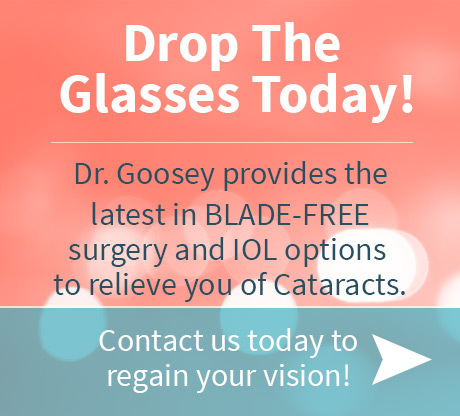 Whatever the cause, there is no reason to live with this condition when one can visit the best-known eye specialist Houston has to offer, Dr. Goosey. The symptoms of nearsightedness are not particularly difficult to spot. Generally speaking, most people ignore the signs of the condition simply because they do not want to go down the road of wearing glasses. More often than not, the first sign of nearsightedness would be eye-strain and unnecessary squinting, often accompanied by headaches. After this, people will begin to notice a steady downward slope towards difficulty in seeing distant objects clearly, particularly in the case of road signs. 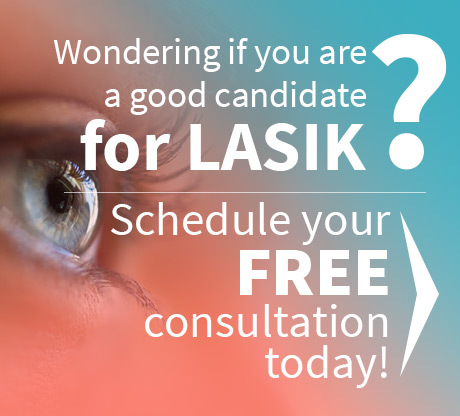 If you suspect that you might be nearsighted, contact the best eye specialist Houston has, and book an appointment to have your vision checked out. Early treatment is always best, and may even help to fight off further degeneration. There are two major causes of nearsightedness. If the eyeball is too long, it negatively affects the way the cornea and lens of the eye work together in order to create proper focus. In this case, light rays do not focus directly on the surface of the retina (as they should) but rather at a specific point in front of the retina. Nearsightedness also occurs when the lens or the cornea of the eye are too curved in relation to the length of the eyeball. Is Nearsighted Hereditary or Not? Essentially, there are two factors that influence the onset of nearsightedness. In some cases, visual stress is responsible for the degeneration of a person’s vision. In other cases, genetics are the culprit. In most cases, however, nearsightedness occurs as a result of heredity and the amount of stress a person places on his or her eyes. If, for example, one or both parents are nearsighted, the child in question is predisposed to developing the condition. If that person then spends a large amount of time in front of a television or computer screen, or a large amount of time focusing on small print, chances are that he or she will develop nearsightedness much sooner in life. Hereditary nearsightedness begins to show during childhood years. People who are not genetically predisposed to nearsightedness may also develop the condition if they spend most of their time doing intensely close visual work. These people, however, tend to develop nearsightedness a little later on in life, possibly even in the latter half of their adult years if they are lucky. It’s good to have your eyes checked out regularly, so you can work on solutions before vision gives you problems. Contact Dr. Goosey’s office today and schedule your next appointment.